The insourcing of about 1530 workers has meant improved salaries and benefits for the new Wits employees but two women say they have been left high and dry, and are yet to enjoy these benefits. 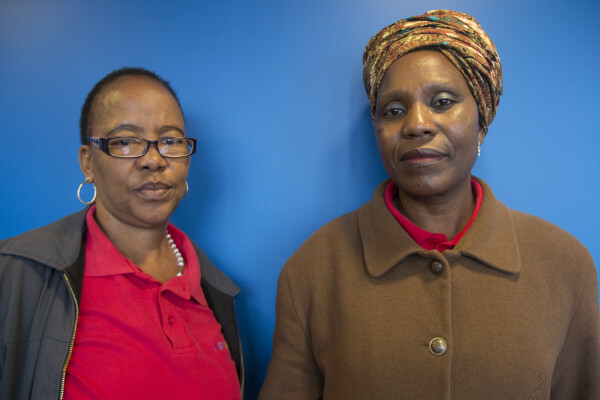 The insourcing celebrations remain on hold for Memory Mabizela, 47, and Elizabeth Labase, 49, who work as hygiene operators for Wits contractor, Ukweza, and who have been excluded from the insourcing process. The two women have worked at Wits for the last 17 years. Last year the Wits human resources (HR) office held a meeting with all Ukweza staff to notify them that they would all be insourced. At the beginning of this year when a number of former outsourced workers went to sign their contracts with the university, the two women say they were not given contracts. Mabizela and Labase approached their Ukweza boss, Corné van Rooyen, about the matter. Speaking in seSotho, they told Wits Vuvuzela they had asked what was going to happen to them. They were told the university did not have the necessary hygiene certificate registered in order to bring them on board. Mabizela said that this was strange because the university was able to use Ukweza services even though Ukweza apparently does not have a registered hygiene certificate themselves, but, has been rendering the service to Wits nonetheless. Van Rooyen told Wits Vuvuzela that he did not wish to comment about the matter and instead referred us to the university’s HR department. The two women then approached Wits HR director Dr Kgomotso Kasankola. They say Kasankola told them that HR was under the impression that they used machinery and chemicals to do their work and therefore they could not be insourced because their company could not provide the appropriate machines and chemicals to Wits. According to Labase, the university has insourced the cleaning staff from Ukweza who work with chemicals to clean toilets and office spaces on a daily basis, yet as hygiene operators, they only use deo-block (air fresheners) and plastics to collect sanitary garbage. The women say they returned to Van Rooyen to clarify the issues raised in their meeting with Wits HR. He apparently told them they were not going to be insourced but he would see if their pay could stay the same while they worked for Ukweza until he leaves and finishes his term next year. “We are clearly not important at Wits. The work we do doesn’t seem to be important to them,” said Labase.